The dark is not always a friendly place. Especially when you wake up in the middle of the night from a bad dream. I’m (mostly) a grown-up now, and there are still nights where I find myself reaching for something to light the dark. 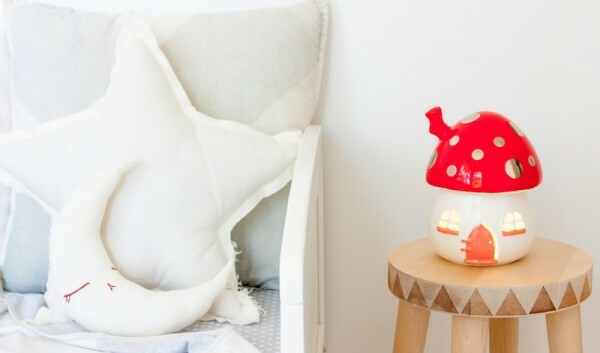 As well as shining light, these mushroom night lights from Little Belle add a bit of magic to kids’ rooms. 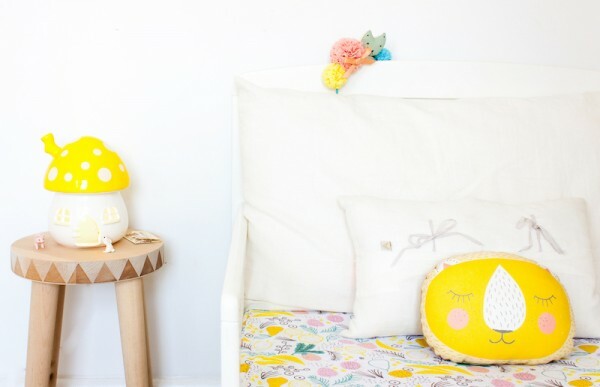 We love sweet night lights here at Babyology, and these adorable mushroom lights are no exception. Shaped like a toadstool house, the night lights emit a warm glow from windows and an open door. On a practical level, they provide comforting light for kids, and help parents to navigate the minefield of kids’ floors. On top of that, the sweet design encourages kids to imagine good things – to dream of magical creatures and secret places. These beautiful pottery lights are hand finished and painted in Sydney. Available in five different colour options, you’ll be tempted to get one for your room too. 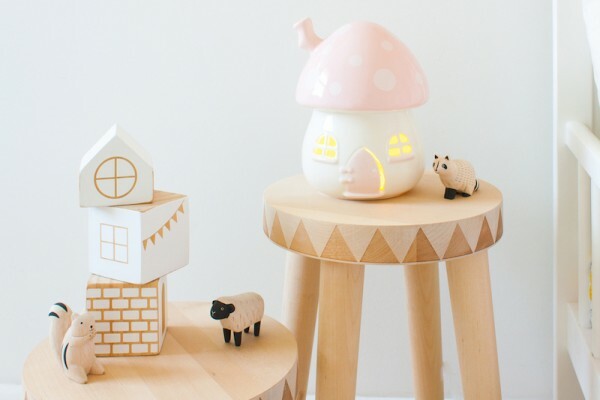 Whether you create a village, or just buy the one, these night lights are such a special edition to any room. You can find the lamps for $149.95 at Little Belle.